The founder of the Kamran Yadidi Law Group, Kamran Yadidi is a prominent attorney with decades of experience successfully representing clients in personal injury and wrongful death cases. Since its establishment in 1996, Kamran has led his firm while handling over 5000 personal injury cases with a 98% success rate. Over the course of his career, Kamran has successfully won countless millions in court awards and settlements on behalf of his clients. Kamran has an established history of aiding individuals who have been injured by defective products, violations of safety rules, and wrongful conduct. Over the years, he has become a specialist in claims such as automotive product defects, truck accidents, and cases of general negligence. Kamran has an established track record representing individuals and families in wrongful death cases as well as severe injuries such as burn injuries and spinal cord injuries that resulted in paralysis or amputations. 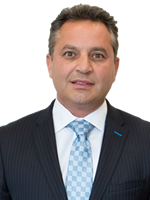 Since earning his Bachelor of Science in Law and Juris Doctor degree from Western State University, College of Law in 1995, Kamran has been a member of numerous legal organizations including the Consumer Attorneys Association of California, San Fernando Valley Bar Association, Beverly Hills Bar Association, and Los Angeles County Bar Association. He is often seen on Los Angeles television and radio programs discussing such matters as auto accidents, personal injuries, product defect lawsuits, and wrongful death cases. A noted attorney in the personal injury field, Isaac Radnia specializes in auto accidents, slip and fall cases, and dog bites. 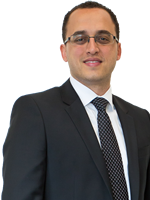 After serving as a clerk for Kamran Yadidi while earning his undergraduate and legal degrees, Isaac joined the law firm in 2007 and has since personally negotiated millions of dollars in settlements and verdicts for his clients. He is known for thoroughly investigating every available option for his clients and is always determined to get the best results possible for each case. Isaac earned his Juris Doctorate degree with high honors from the University of West Los Angeles School of Law as well as a Bachelor of Arts degree in Political Science with inclusion on the Dean’s List from California State University. His professional memberships include the Consumer Attorneys Association of Los Angeles, as well as the California Bar Association. 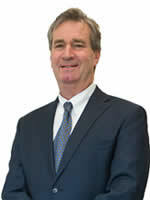 Craig D. Rackohn is a senior trial lawyer responsible for the litigation department at the Kamran Yadidi Law Group. With over 30 years of trial experience, he specializes in personal injuries and insurance bad faith claims. Craig graduated from the University of Southern California in 1981 and Southwestern Law School in 1984. His professional memberships include the California State Bar and the Arizona State Bar. Bernard Thalheimer is one of L.A.’s most eminent personal injury attorneys. During a career spanning more than three decades, Bernard has settled countless cases worth many millions. Well known for his commitment and determination on behalf of his clients, he has also worked with the Los Angeles Superior Court as an arbitrator and mediator. Bernard is a member of several professional organizations including the California State Bar, the United States District Court, the Los Angeles County Bar Association, and Consumer Attorneys of Los Angeles. Bernard earned his law degree from Western State University and his Bachelor in Political Science from the University of California, Los Angeles.